Water Cycle HD is a fantastic iPad app (that is free today) that is STEM related and ideal for learning about the Water Cycle. 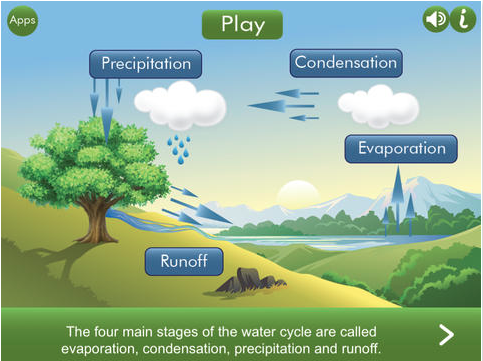 This educational app uses a combination of videos, animations, and photographs, to help students learn about the Water Cycle. Also, WC HD follows Common Core Standards and has a quiz that students can take to reinforce learning. The quiz has three different levels of difficulty and follows Bloom's taxonomy. I highly recommend checking out Water Cycle HD by clicking here!! !